This whole program is being re-written, replenished with new videos, meditations, downloads and fun! It’s going to be FABULOUS! 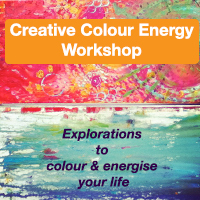 Please check out the Creative Color Energy Workshop here. Workshop starts in August 2013 and registration is OPEN! WOOHOO!